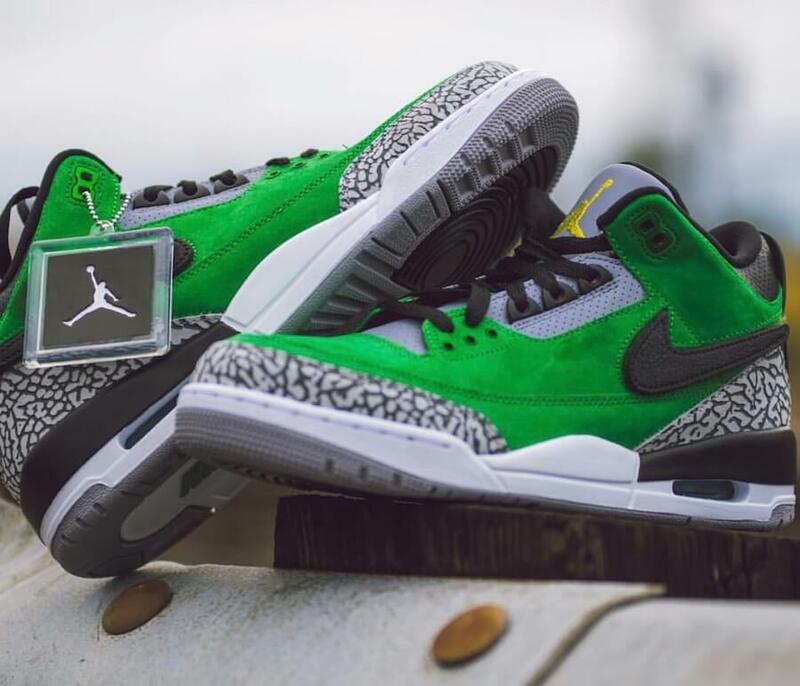 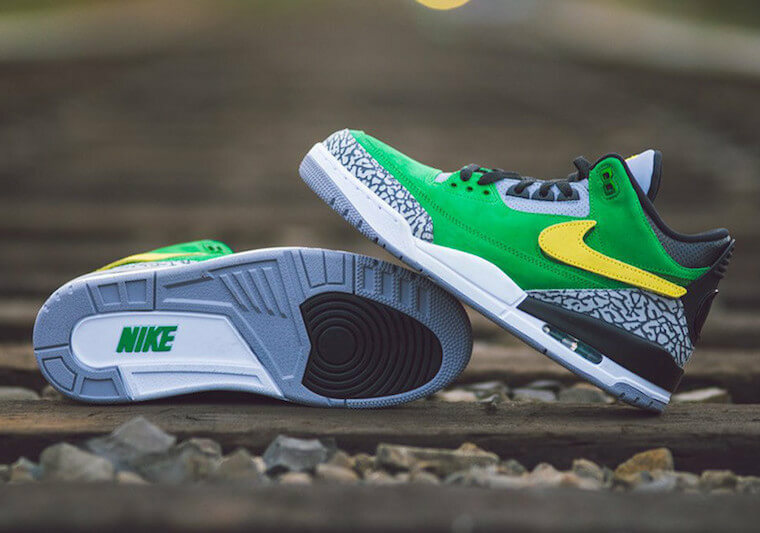 The Oregon Ducks football team receives their latest Player exclusive sneaker while taking on Air Jordan 3 Tinker silhouette this time around. 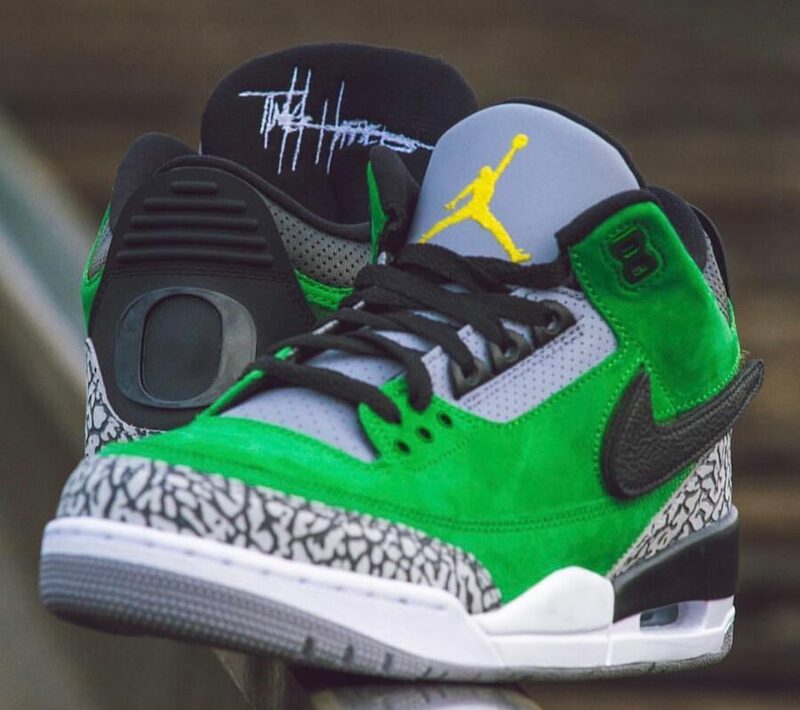 The shoe basically features the Ducks’ school makeover and comes covered in a Green suede upper complemented with removable Swoosh patches. 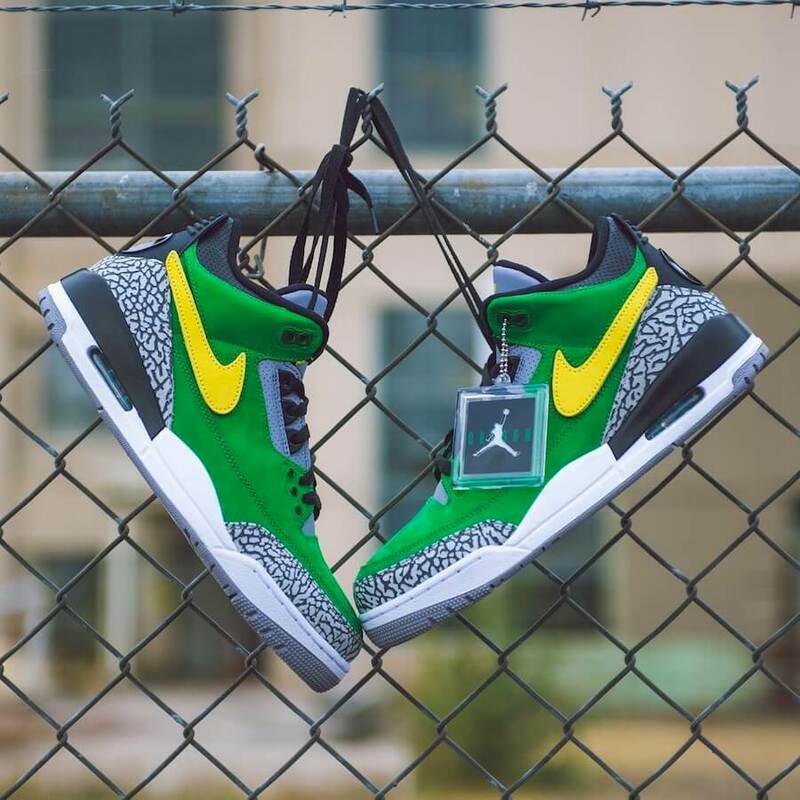 This particular exquisite pair has been further enhanced with an oversized “O” logo placed on the heels. 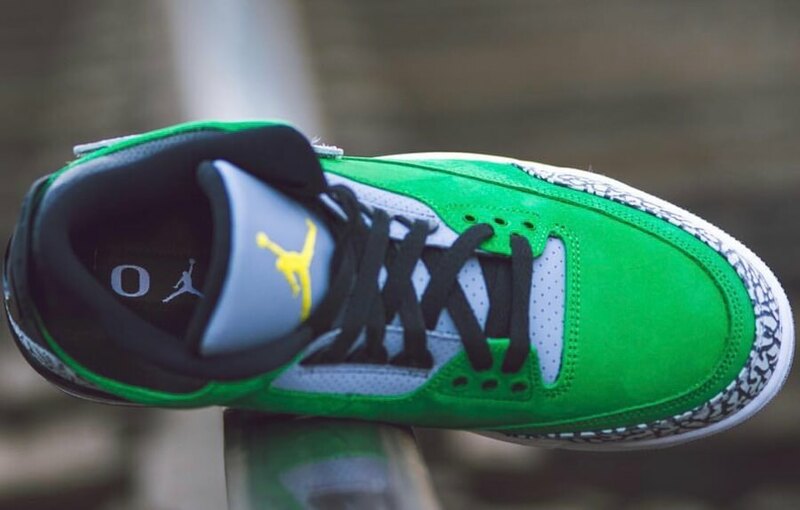 At last wrapping up the whole design altogether are the Oregon x Jumpman logos displayed on its insoles. 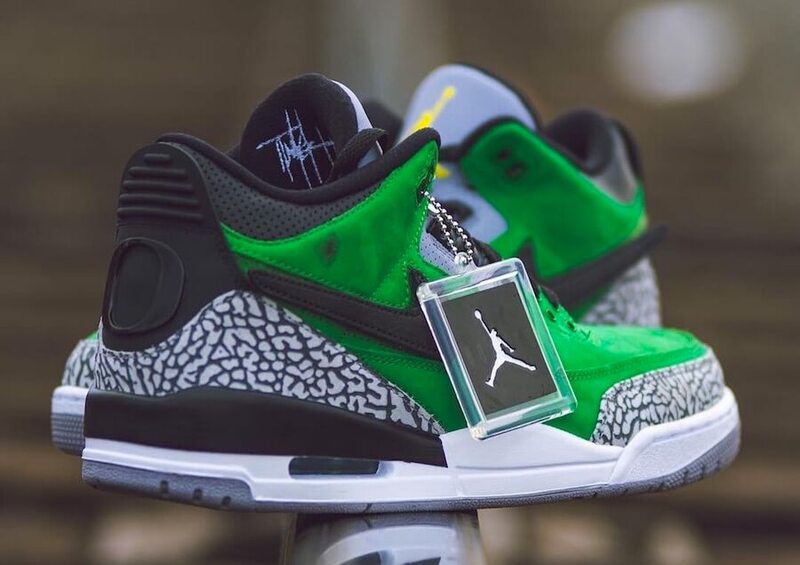 Check out more detailed images and don’t expect this Player Exclusive sneaker to release at any select Jordan Brand retailers.